You perhaps have heard of the benefits of swimming to one’s health. Exercise in water is better than exercise on land for many reasons. The buoyancy that one gets with the liquid medium means that they can do exercises that are difficult to perform on land. With the body floating, one does not hit the floor as hard as they would on land. The resistance to movement in the water is much greater than it is in the water, and being that swimming involves many muscles than most of the exercises on land, the body gets better exercise. The high resistance prevents sudden movement which may result in damage of the muscles. The cooling effect of the water also helps dissipate the heat faster, thus reducing the risk of overheating. For adults, going into the water is easy, but for babies, the process might be a little more complicated. Introducing the child to swimming when they are just but a few months old can be scary, but considering the benefits, worth trying. 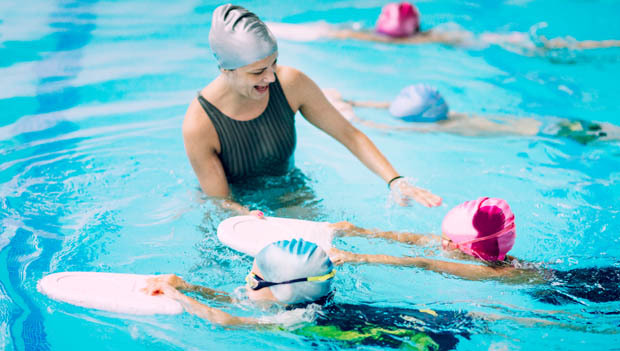 It is a growing trend, and there are many children swimming lessons being offered all over. A baby swimming school will take advantage of the fact that at that age, the bay is till curious and wants to learn as much as they can. They are open-minded and still have a positive attitude towards everything. Introducing an older child to swimming can be more difficult. They might have already had a negative experience with water and will be afraid to surrender themselves to the water. Ironically, the very thing people fear when they are asked about taking their baby to a baby swimming school is the very thing that early swimming attempts to prevent. Research shows that introducing the baby to the water will help them be safe around the water. In the UK, drowning is recorded as the third largest cause of death among children. Understanding swimming techniques has been known to reduce the risk of drowning by over 80 per cent in children aged between 1 and four. Many of the accidental deaths can be prevented by the child learning how to swim. The swim-float-swim technique that is used in many disaster situations involving the water can be taught to the child at just a few months old. All over the word, news outlets have reported babies falling into canals or pools and survived because of their skills in and around water. There is a wide pool of evidence that shows the benefits of introducing babies to swimming early. Research from Germany shows that babies develop learning skills by responding to the repetitive commands they receive when they are being taught how to swim. In Finland, they found that babies who learnt how to swim built their strength and muscle control very early in life. Their muscle control helped them crawl and walk earlier than other children would. Yet another research project from Norway revealed that babies improved their balance and coordination. With all this scientific evidence, why not try this with your young one?